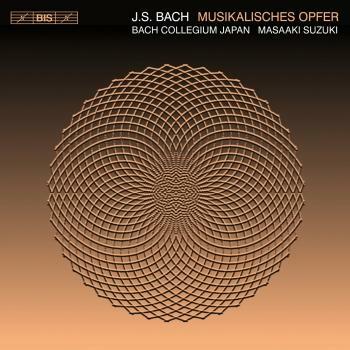 The works on the seventh album in Masaaki Suzuki's and Bach Collegium Japan's series of J.S. 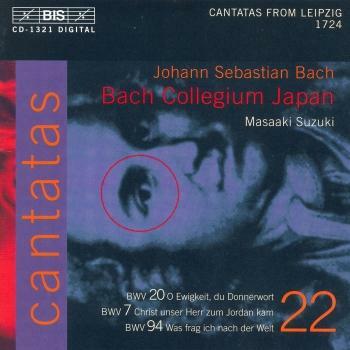 Bach's secular cantatas are quite special in the composer's production. 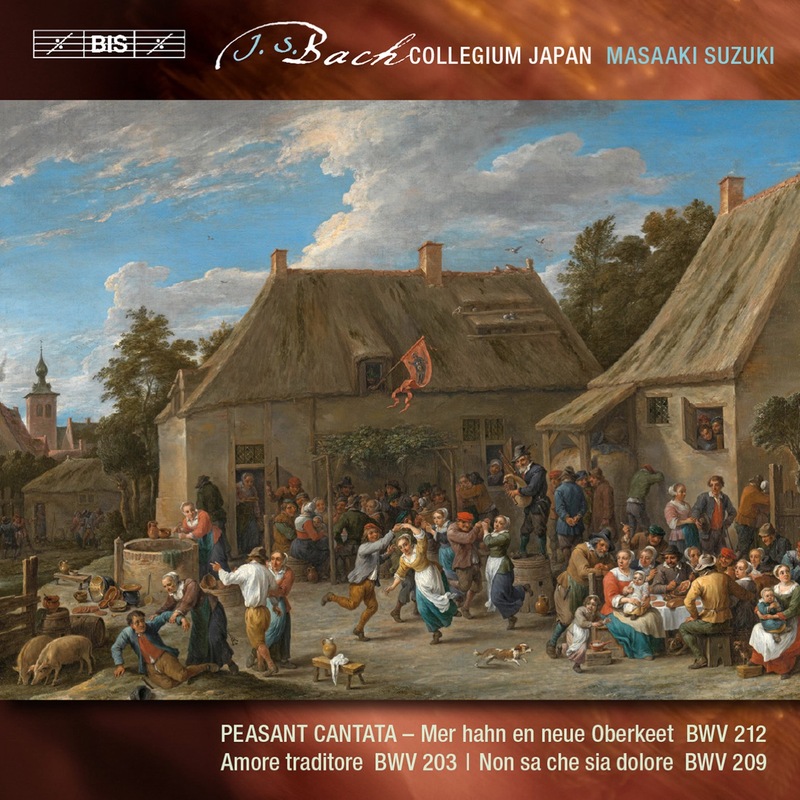 By far the best-known of them, the so-called 'Peasant Cantata' signals this both through its title (in Upper Saxon dialect) and subtitle ('Cantate burlesque') – composed for a celebration at a country estate outside Leipzig, the soloists in this duo cantata portray neither Roman gods nor allegorical figures but a peasant girl and a farm-hand. In broad dialect, and to music that makes reference to folk songs and village music, the two praise the new owner of the estate and his family, but also work in sly digs at the village parson and the local tax collector. 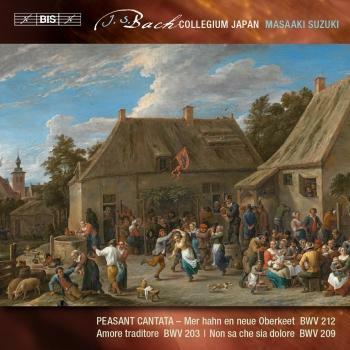 The Peasant Cantata is followed by the only two extant Bach cantatas that set Italian texts. As such, they have been regarded with a certain suspicion by Bach scholars – all the more so as no autograph manuscript has survived of either work. Both works are solo cantatas and both contain a number of surprises for the listener. The longer soprano cantata, BWV 209, is possibly a musical farewell to a young scholar and pupil of Bach’s on his departure from Leipzig after completing his degree. While the opening sinfonia, with concertante flute, sounds like pure Bach the two arias are composed in a style that is strongly influenced by Italian opera. In Amore traditore for bass solo, a disappointed lover takes Amor to task, accusing him of betrayal and deception. It closes with an aria of a quite distinct character, with the harpsichord not appearing as a continuo instrument, but instead taking on a virtuoso, concertante role with toccata-like figurations. 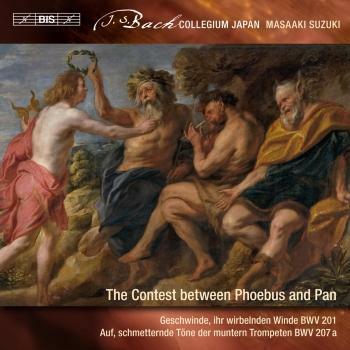 Since founding Bach Collegium Japan in 1990, Masaaki Suzuki has established himself as a leading authority on the works of Bach. He has remained their Music Director ever since, taking them regularly to major venues and festivals in Europe and the USA and building up an outstanding reputation for the expressive refinement and truth of his performances. In addition to working with renowned period ensembles, such as Collegium Vocale Gent and Philharmonia Baroque, he is invited to conduct modern instrument orchestras in repertoire as diverse as Britten, Fauré, Haydn, Mahler, Mendelssohn, Mozart and Stravinsky. Last season saw his debut appearances with the Deutsches Symphonie Orchester Berlin, Melbourne Symphony, Rotterdam Philharmonic and St. Paul Chamber Orchestra, while engagements for 2012/2013 include return visits to the Netherlands Radio Chamber Philharmonic Orchestra, Orchestre de Chambre de Paris and Verbier Festival and his debuts with the New York Philharmonic and the Radio-Sinfonieorchester Stuttgart. 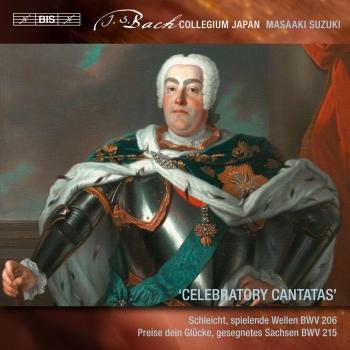 Suzuki’s impressive discography on the BIS label, featuring Bach’s complete works for harpsichord and his interpretations of Bach’s major choral works and sacred cantatas with Bach Collegium Japan (of which he has already completed over fifty volumes of a project to record the complete series) have brought him many critical plaudits – the Times has written: “it would take an iron bar not to be moved by his crispness, sobriety and spiritual vigour”. In 2010, Suzuki and his ensemble were awarded both a German Record Critics’ Award (Preis der Deutschen Schallplattenkritik) and a Diapason d’Or de l’Année for their recording of Bach motets, which was also honoured in 2011 with a BBC Music Magazine Award. Highlights of last season with Bach Collegium Japan included a European tour incorporating concerts at the Amsterdam Concertgebouw, Brussels Palais des Beaux-Arts and Paris Salle Pleyel amongst others, and culminating with a performance of the St Matthew Passion at the Thomaskirche, Leipzig where Suzuki was presented with the 2012 Leipzig Bach Prize. This season sees the group in residence at the Festival Oude Muziek Utrecht and Bremen Musikfest. Masaaki Suzuki combines his conducting career with his work as organist and harpsichordist. Born in Kobe, he graduated from the Tokyo University of Fine Arts and Music with a degree in composition and organ performance and went on to study harpsichord and organ at the Sweelinck Conservatory in Amsterdam under Ton Koopman and Piet Kee. Founder and head of the early music department at the Tokyo University of the Arts, he is currently Visiting Professor of Choral Conducting at the Yale School of Music and Yale Institute of Sacred Music and the conductor of Yale Schola Cantorum. Suzuki was decorated with ‘Das Verdienstkreuz am Bande des Verdienstordens der Bundesrepublik’ from Germany in April 2001, Bremen Musikfest Award 2011, and Bach Medal 2012 by the city of Leipzig in June 2012.
was founded in 1990 by Masaaki Suzuki, its inspirational Music Director, with the aim of introducing Japanese audiences to period instrument performances of great works from the baroque period. 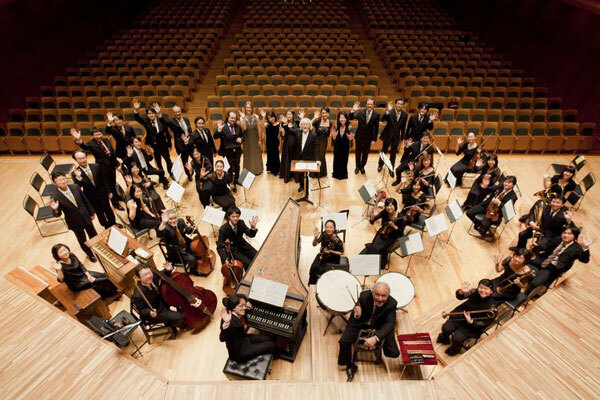 Comprised of both baroque orchestra and chorus, their activities include an annual concert series of Bach’s cantatas and a number of instrumental programmes. They have acquired a formidable international reputation through their acclaimed recordings of the major choral works of Johann Sebastian Bach for the BIS label; this season sees the triumphant conclusion of their recorded cycle of the complete Church Cantatas, a huge undertaking comprising over fifty CDs initiated in 1995. Their recent recording of Bach Motets was honoured with a German Record Critics’ Award (Preis der Deutschen Schallplattenkritik), Diapason d’Or de l’Année 2010 and also in 2011 with a BBC Music Magazine Award. Bach Collegium Japan and Masaaki Suzuki have shared their interpretations across the international music scene with performances in venues as far afield as Amsterdam, Berlin, Hong Kong, London, Los Angeles, Melbourne, New York and Seoul, and at major festivals such as the BBC Proms, the Edinburgh International Festival and the Hong Kong Arts Festival. In 2010 the ensemble celebrated their 20th anniversary with a series of special concerts in Tokyo, and last season included performances at the Musikfest Bremen as well as appearances at New York’s Lincoln Center where Masaaki Suzuki and the choir were invited to collaborate with the New York Philharmonic Orchestra to open its Bach Variations Festival. This season they undertake their first visit to the New Zealand International Arts Festival and embark upon another major European tour during which they bring Bach’s St John Passion and a Cantata programme to cities such as Barcelona, Lyon, Paris and Toulouse.